The Disney Book explores over 90 years of all things Disney from the animated movies of Snow White and Frozen to the theme parks and cruise ships that have made Disney the unstoppable force it is today. The Disney Book is a beautiful, visual exploration of all things Disney from the animated and live-action movies to the theme parks and attractions that have made Disney the beloved brand it is today. 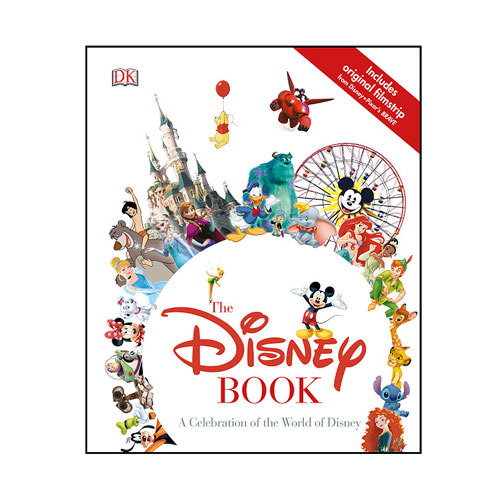 The Disney Book Hardcover Book is packed with stunning visuals including concept art, original story sketches, merchandise, a range of movie posters, and collectibles. Explore rarely seen treasures including props, art, early merchandise, and more from Disney's extensive archives and celebrate more than 90 years of Disney storytelling and entertainment with The Disney Book. The 200 page hardcover book measures about 10 9/10-inches tall x 9-inches wide. Ages 8 and up.